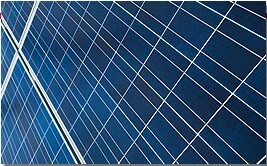 To discuss your solar photovoltaic application, contact our thin-film experts. 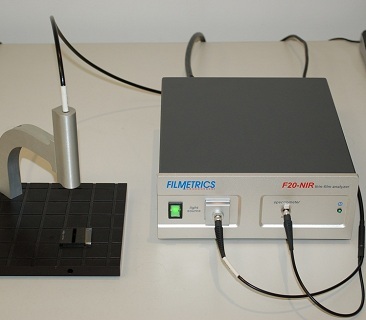 Filmetrics offers free trial measurements - results are typically available in 1-2 days. 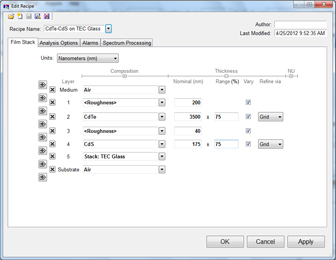 The ability to measure multiple layers quickly and reliably is critical for the development and manufacturing of thin-film solar cells. 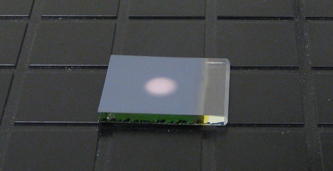 In this example, we are measuring both the buffer layer (CdS) and absorber layer (CdTe) on a thin-film PV device. 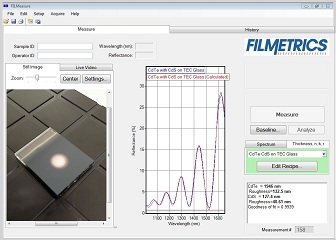 Using our F20-NIR in conjunction with a collimated beam stage, we are able to obtain a reflectance spectrum which allows us to measure the thickness of both CdTe and CdS layers of a CdTe-based solar cell on TEC glass.